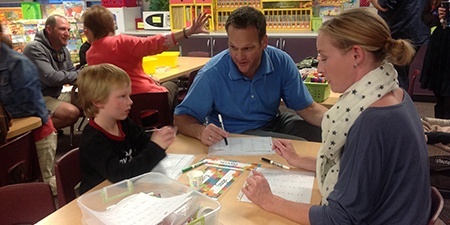 We believe effective math education requires sound instructional methods, a solid grasp of the subject, and expertise with well-designed materials. Our professional development opportunities strive to provide teachers with the ability to enhance their capacity in all three areas. Educators using our programs are invited to register for any applicable workshops listed below. Fees are paid per person. Space is limited. This face-to-face workshop is appropriate for districts after their first year of implementing Bridges in Mathematics, 2nd Edition. This three-day workshop is designed to equip instructional leaders to lead their own Getting Started Workshops in-district for new hires or new-to-grade-level teachers. Participants will experience a condensed Getting Started Workshop covering both K–2 and 3–5 grade bands. They'll leave with the knowledge necessary to offer these workshops in their own district. Keynote speakers include Alisa Simeral, Jennifer Bay-Williams, Marian Small, Mike Flynn, and Christopher Danielson. This 12-week online course is offered in both fall and winter. It is designed to support math coaches and instructional leaders working to increase student achievement and teacher content knowledge during a Bridges in Mathematics Second Edition implementation. This 12-week online course is offered in both fall and winter. It is intended for those using or supporting Bridges Intervention. Participants will walk through the structure of Bridges Intervention, placement assessments, progress monitoring, and the resources available on the Bridges Educator Site. Webinars are recorded and available to watch afterwards. Those that register receive an email with a link to the recording. Only the most recent recordings are on this page. To watch all of our PD webinars, sign into the Bridges Educator Site. No webinars are currently scheduled. Check this page often to stay up to date on upcoming webinars. 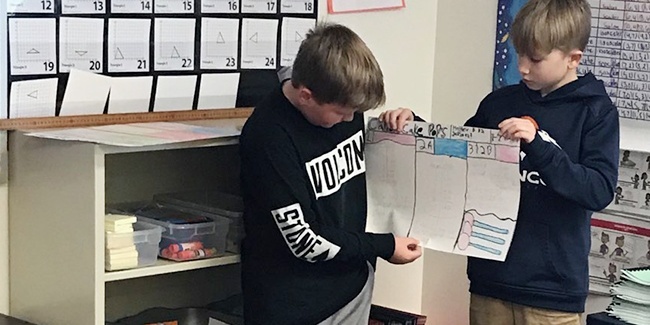 Math Forums are opportunities for students in grades 3–5 to formally share their strategies and their thinking. In this webinar, we’ll explore tips and tools to help teachers facilitate a successful Math Forum. In this webinar, we will explore one Bridges session and think about how a teacher might approach pacing during planning, implementation, and post-lesson reflection. This webinar will focus on 10 recommendations and resources for partnering with families. Tips will include district, school, and classroom activities that establish effective two-way communication and encourage a growth mindset. Students need a conceptual understanding of place and value before they can develop procedural fluency. This webinar will unpack the learning progressions for Bridges Intervention Volume 3 and show how to help support fluency development. The standards for fifth grade explicitly call for students "to use equivalent fractions as a strategy to add and subtract fractions." This webinar will investigate models that empower students in finding equivalency: money, clocks, and the number line. Your Bridges Pre-K classroom package has arrived and now you're wondering how best to unpack and put everything in order. 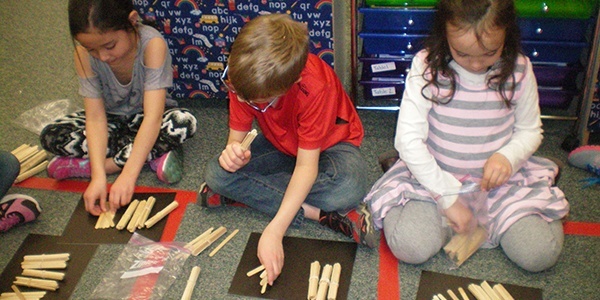 This webinar offers guidance on organizing and managing materials for both teachers and students. We will also explore how the thoughtful planning of spaces ensure the learning environment is engaging, nurturing, and inviting. This webinar is best suited for teachers using Bridges Pre-K, but all educators are welcome to register.